Alex's Motorcycle Adventure Alaska, Mexico, Central + South America! 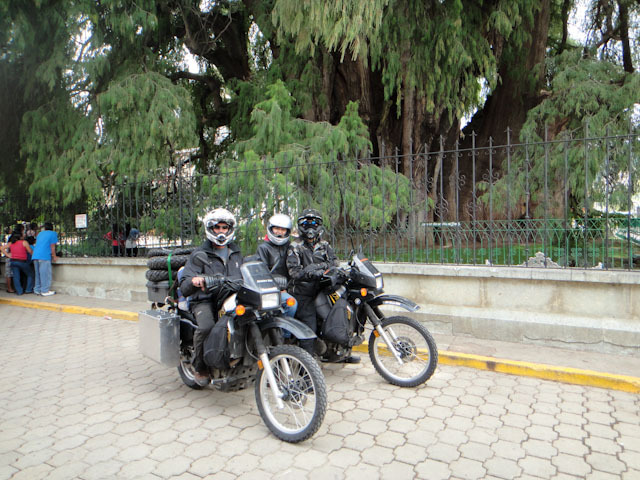 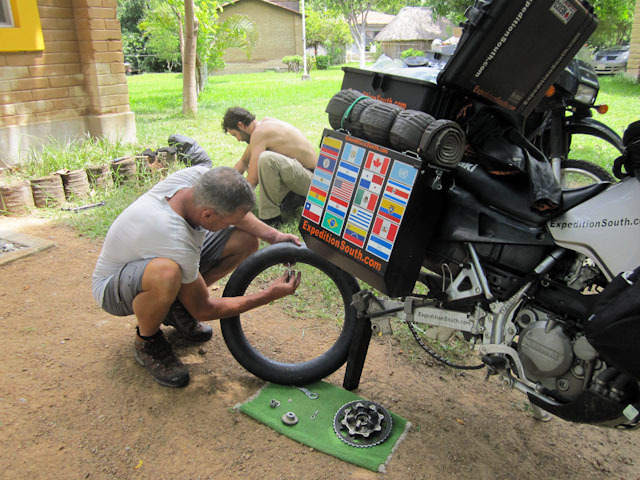 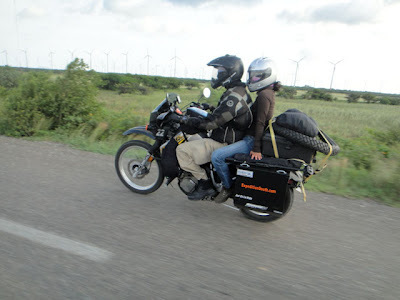 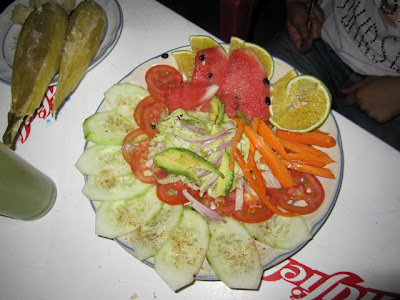 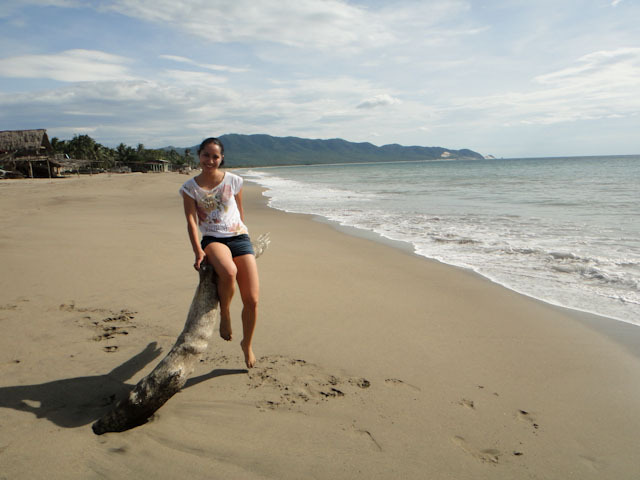 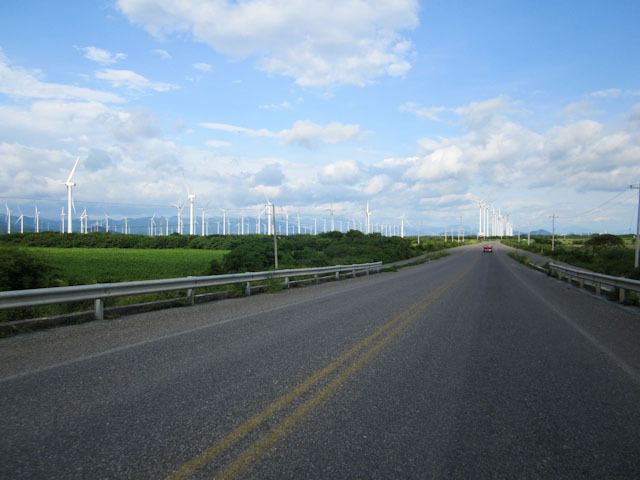 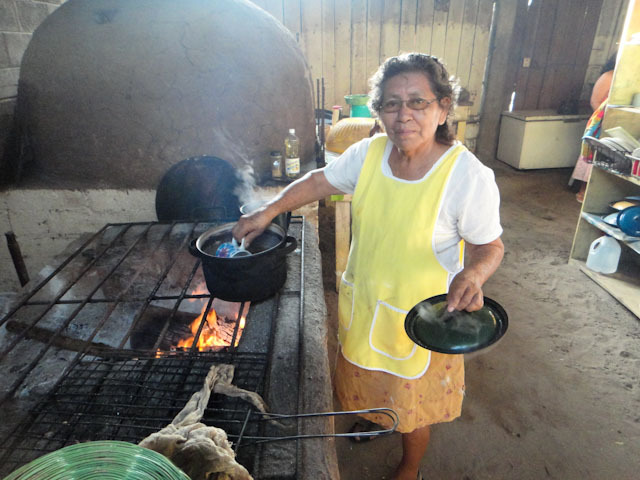 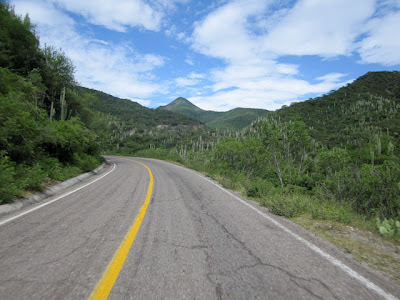 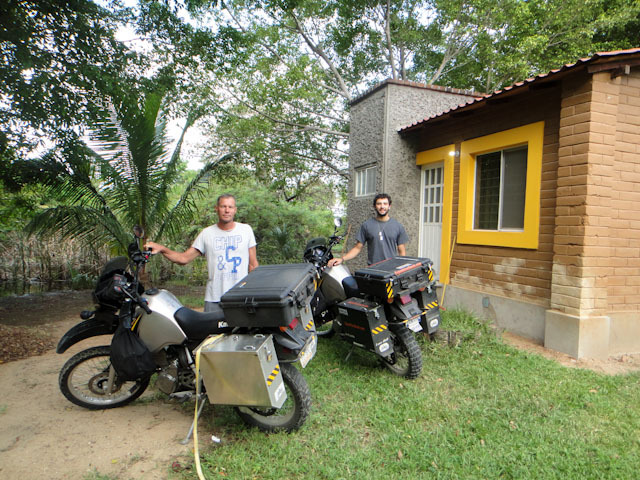 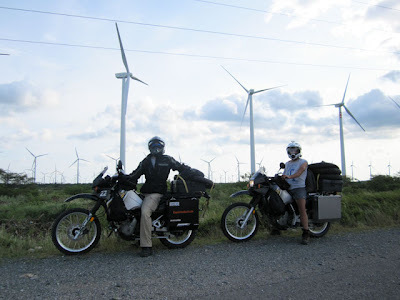 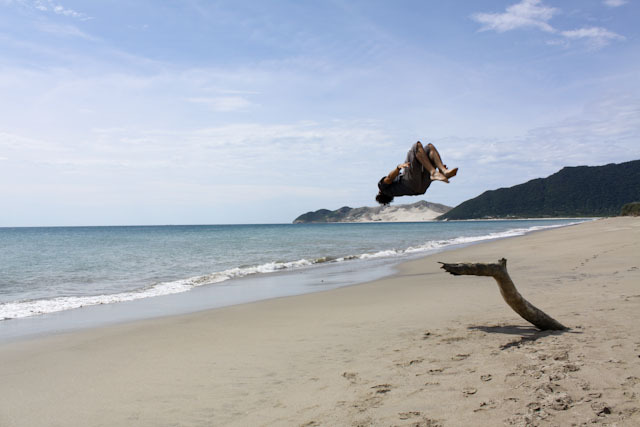 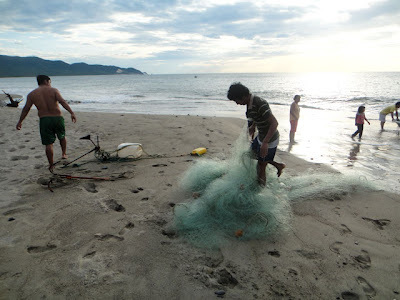 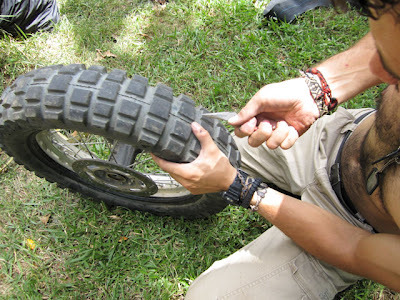 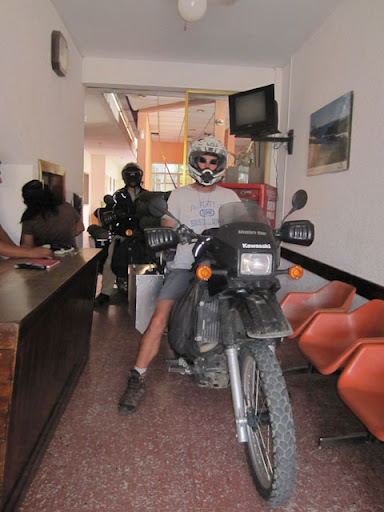 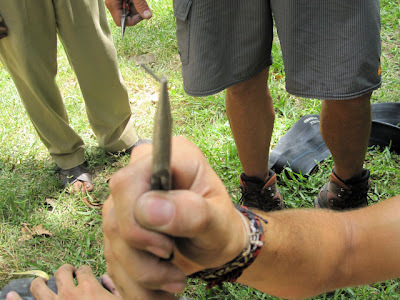 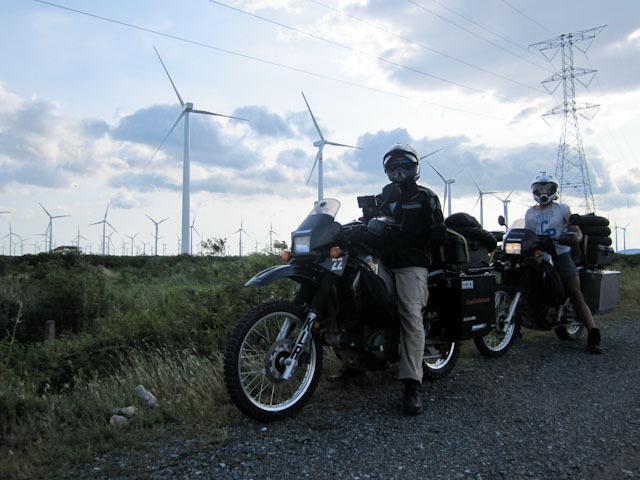 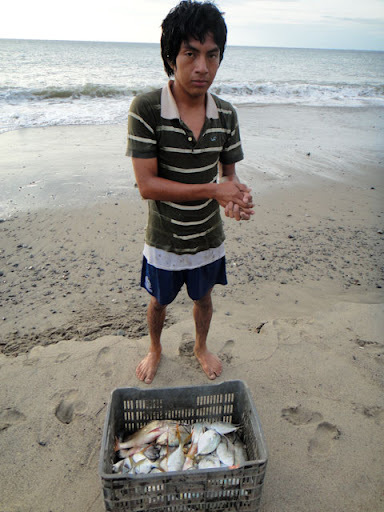 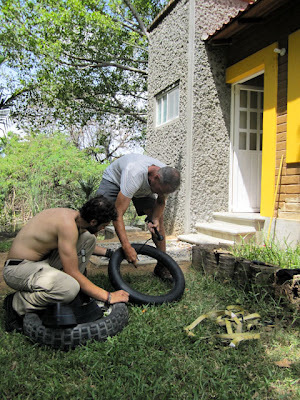 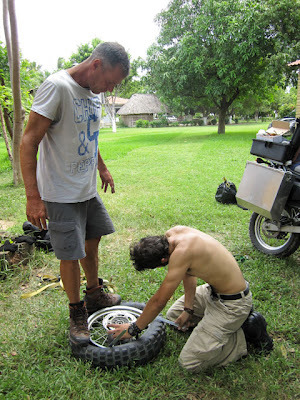 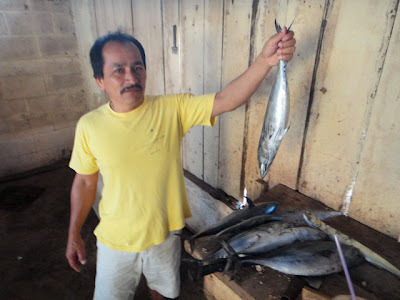 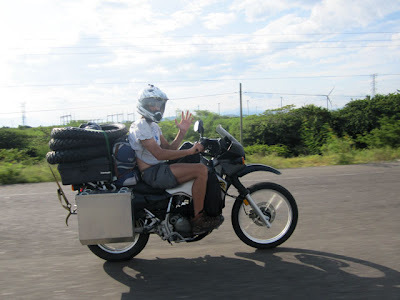 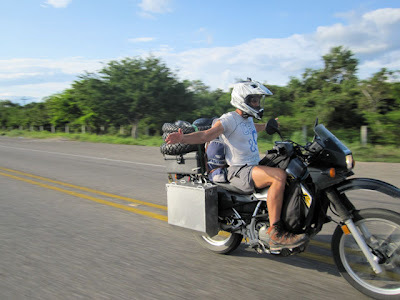 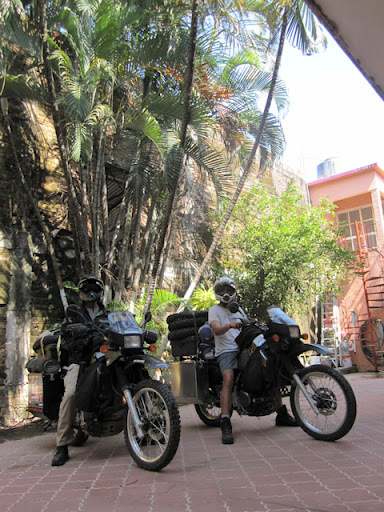 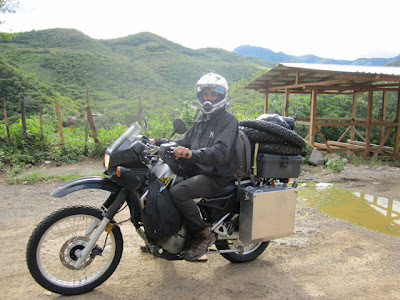 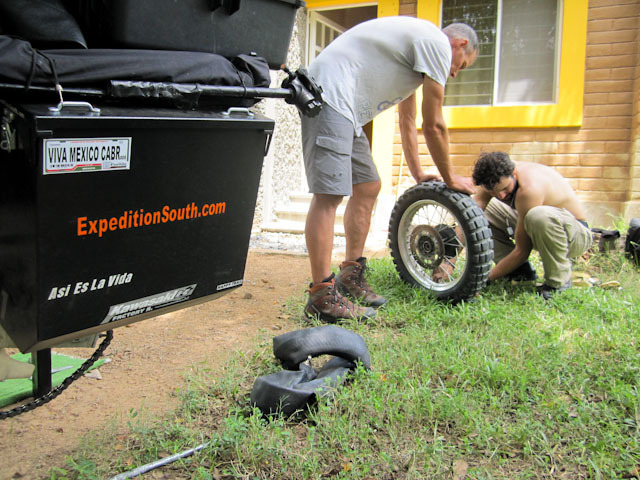 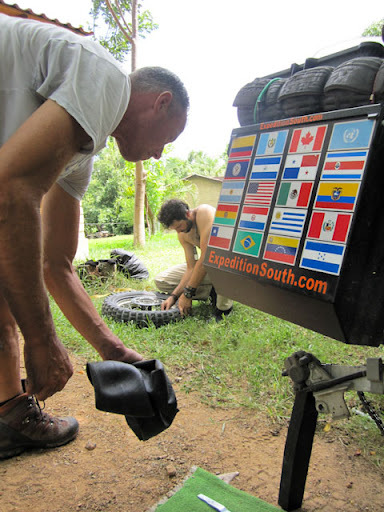 Modern Motorcycle Diaries: Oaxaca to Palenque Samantha joins the Adventure. Oaxaca to Palenque Samantha joins the Adventure. 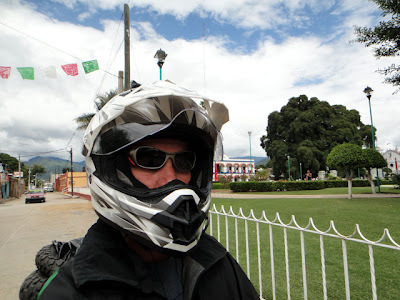 The following day we departed Oaxaca to head down the coast with direction to Palenque in the state of Chiapas. Because Samantha was raised in Oaxaca and is familiar with the area, David and I decided to invite her to join our journey and adventure. 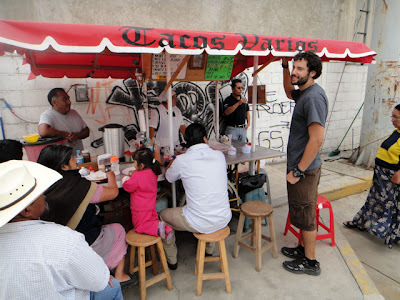 We stopped by Davids newly found best taco stand. 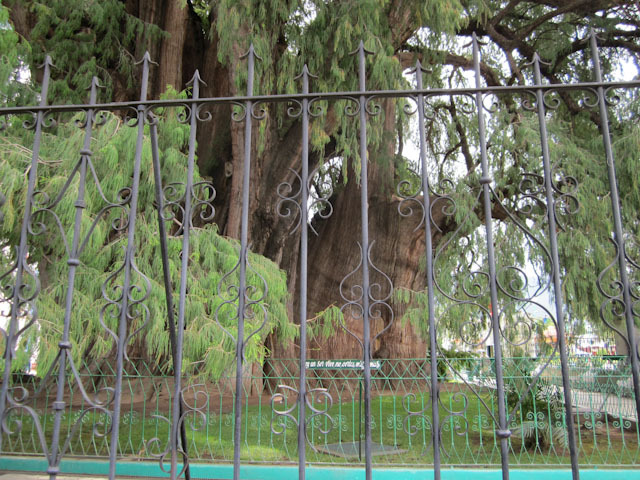 On our way out we visited what I was told is the world’s widest tree. So the rain gear went on. 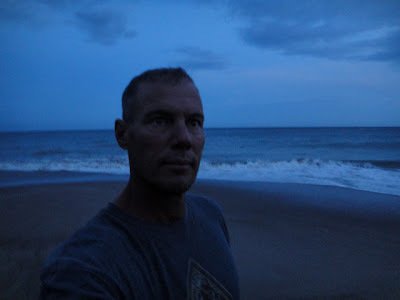 David’s and my own mind, thinking what if’s scenarios. But, asi es la Vida, that is the way life is. 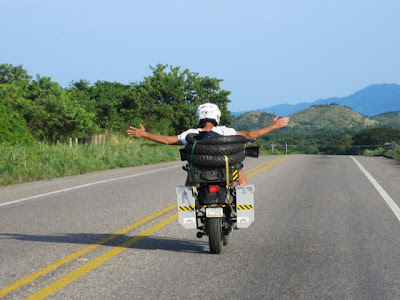 Onward we went. 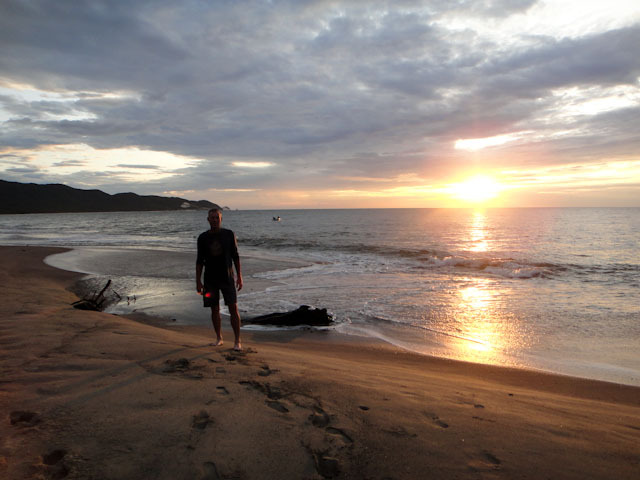 After a long day full of curves, accidents and rain, we found a deserted little beach town called playa Cangerjo. 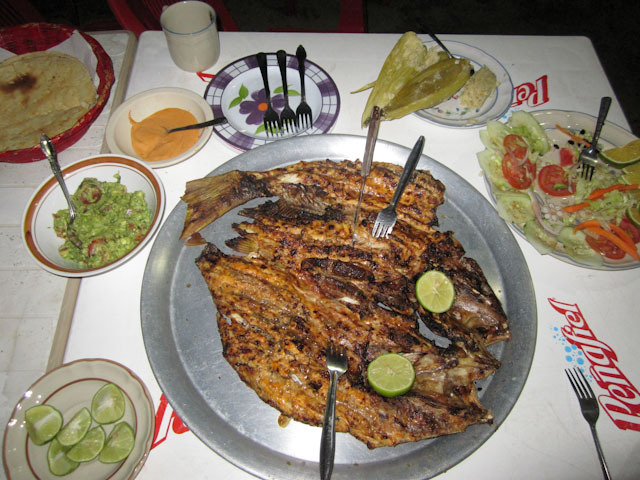 We had a great meal of fish and salad. 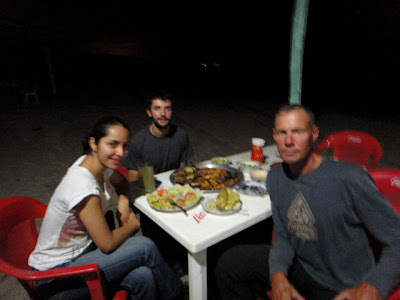 We called it a night. 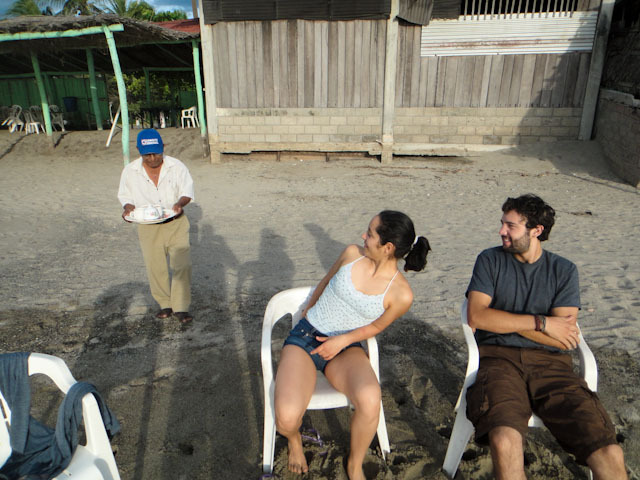 And had some awesome coffee service right on the beach! 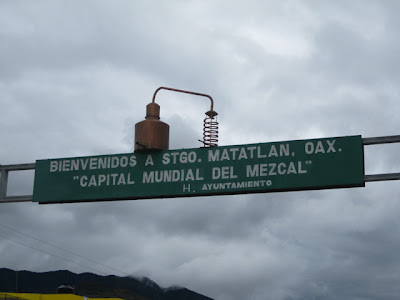 Viva Mexico! 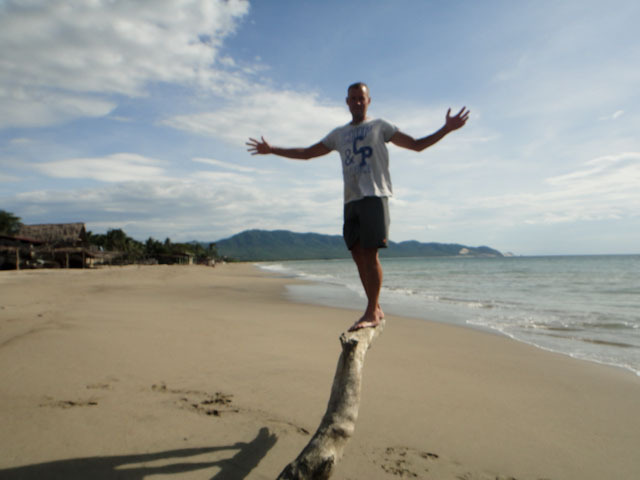 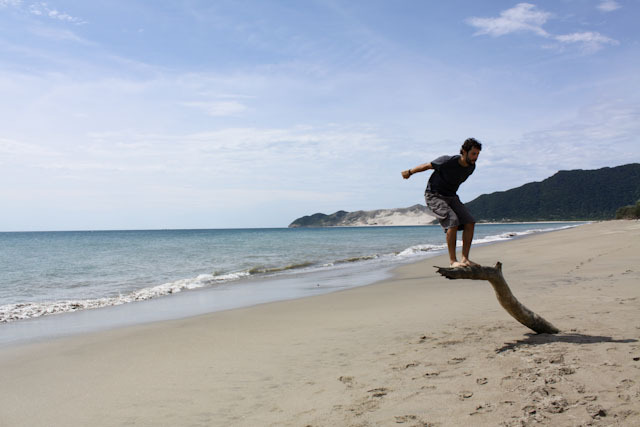 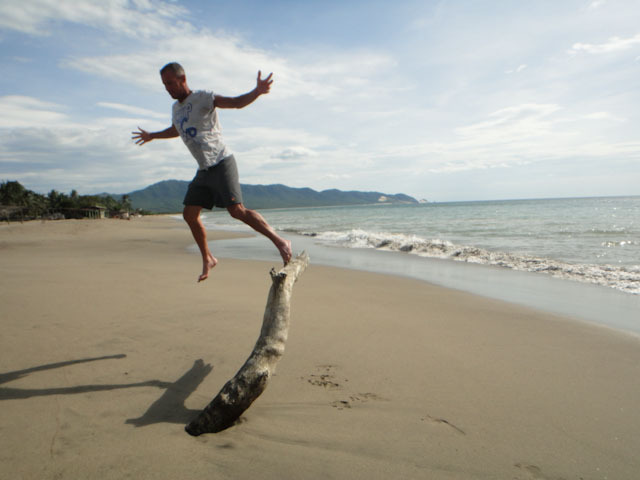 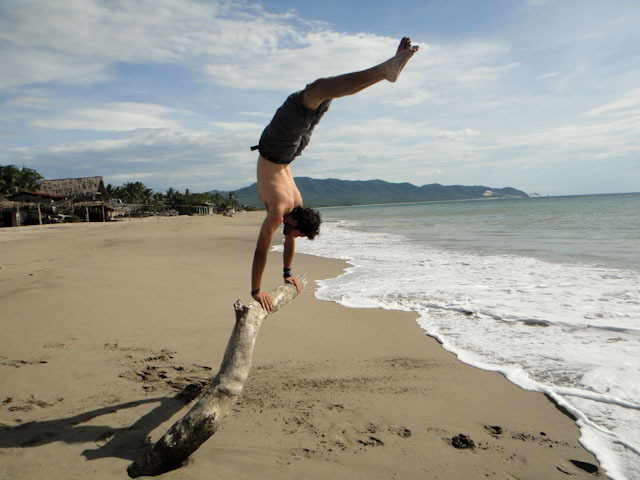 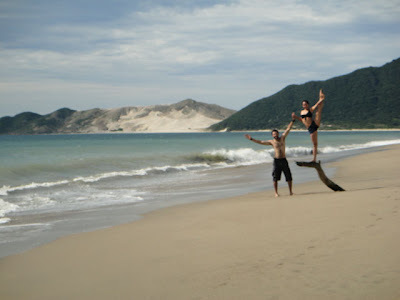 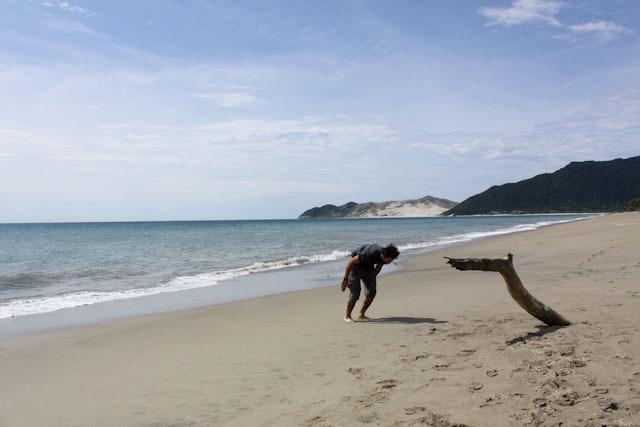 We also had some fun with a piece of tree that had stuck itself on the beach, which made a good platform for some acrobatics. And a challenging balancing act. 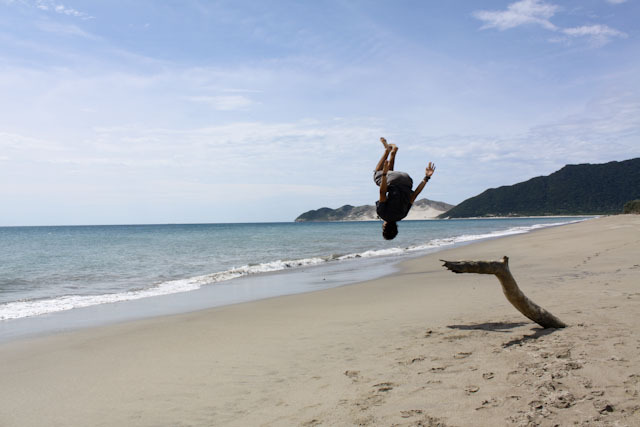 I then decided to step it up a notch and try a back flip off it. 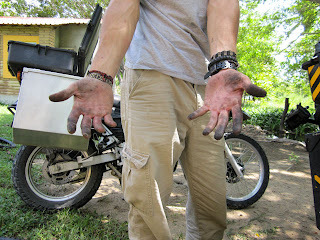 After letting David’s remark of “let me get ready with the camera in case you don’t make it”, I went for it and made it! Fear nothing but fear it! 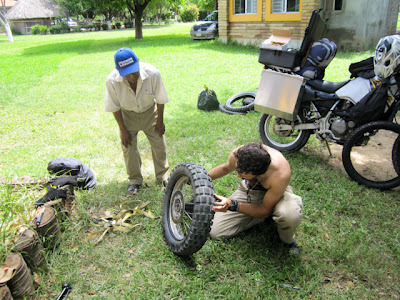 As we roamed back to the room, we packed our stuff only to find out we had a flat tire. So to make a long story short, the pump broke, the replacement tubes were faulty, the brakes were put on the wrong way, it wouldn’t align correctly, etc. 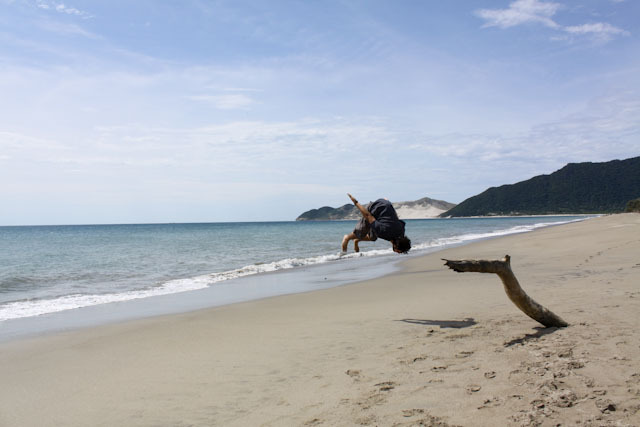 Just problem after problem. 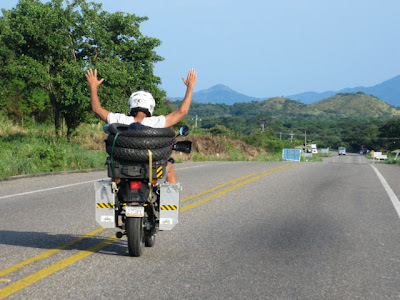 By the end of it, I had to take the tire to a local guy “taller” in Spanish that was 10 miles back in town then drive back to put it on. 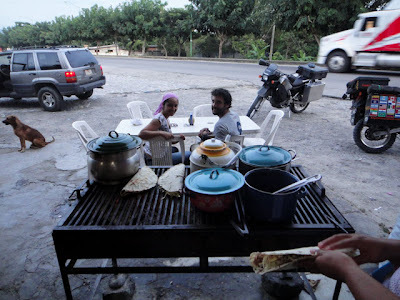 By the time we were finished it was already 2 pm, regardless we set forward, ate at the worst taco stand of our lives with the, I don’t like you so I’ll throw the plate to you lady that didn’t speak a word to us the entire time we were there. 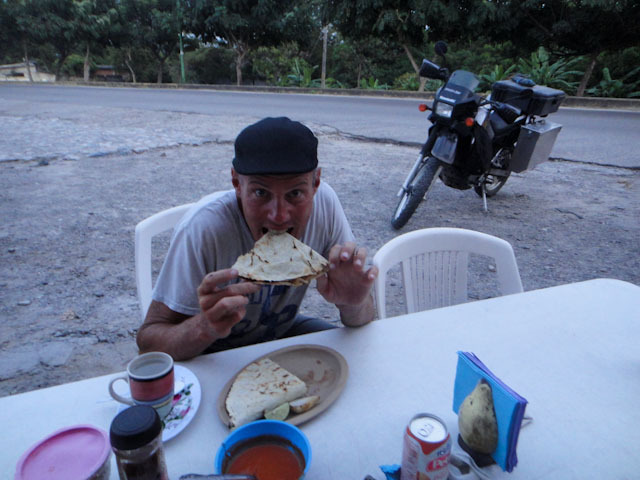 Sp we paid out over priced meal and we headed off to Palenque. Got a few pictures and continued onward. 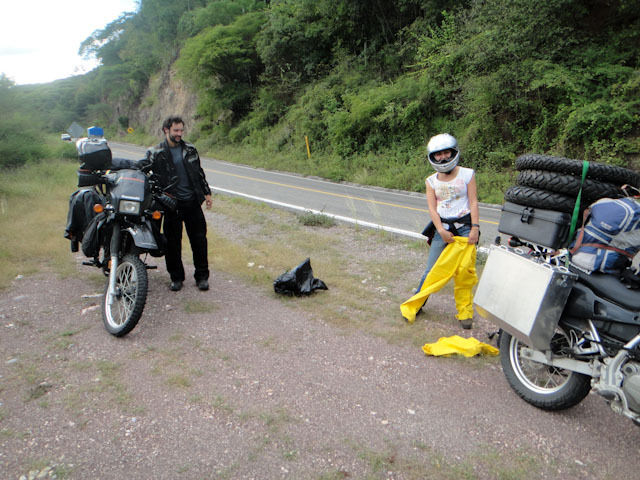 We got as far as Ocosingo, which was only 122 miles from where we left off, so it was a slow day of travel thanks to the flat tire. Had a cool parking space again, and called it a night. 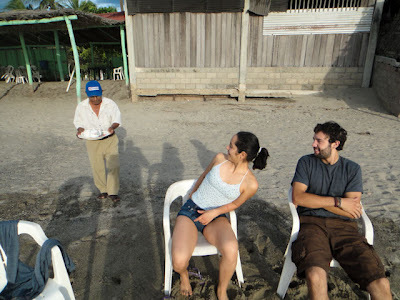 lol@ David was being responsible!